The October of 2001 was hailed as the warmest since records began to be kept. The cliffs of the Ardeche Canyon shone golden in the late afternoon sunshine as my wife and I drove toward the town of Vallon Pont d’Arc. The car’s roof was open and we looked straight up into a cloudless sky. It felt like a midsummer day and matched my happy mood to perfection. I was on my way to meet Jean Clottes for my second visit to the Chauvet Cave. Two years had passed since my first visit to the Cave. I had come away from the magic world of Chauvet with impressions that had left me in a state of wonderment. In the interval between then and now not a day had passed without my thinking about what I had seen and felt. The images had constantly been in my mind’s eye since then, and left me with hundreds of questions. On this visit I hoped that I would be able to peer through at least some of the veils that shroud the secrets locked inside Chauvet. The first visit had been one of the greatest experiences of my life and had made an enormous impact on my way of thinking about Art. However over the last two years I have found that it has made an even greater impact on how I thought about Cro Magnon, so I would make this visit with a completely different mental approach. My keenness to once again be in the cave was now linked more to thinking about the Artists than about the Art. I knew the adrenaline would once again race through my veins, but what would my reaction be this time? For me the two most wonderful things in the Universe are firstly, the Evolution of Mankind, and secondly, our Artistic Creativity. The fact that Mankind can balance on two feet and walk upright, is a miracle. The miracle is possible because a super computer inside our skulls interprets the millions of messages that travel every second between our feet and our brains. 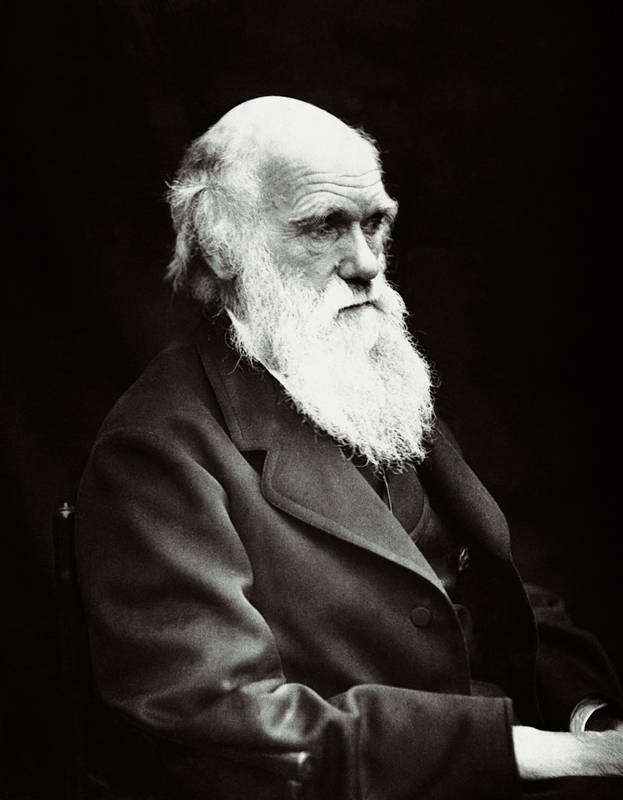 This super computer is our Mind, the seat of our Artistic Creativity, the power that enables Mankind to transcend Darwin's conviction that "no innate tendency to progressive development exists". I recently read something I think illustrates this perfectly. Marcus Aurelius wrote, “You consist of three things only, your body, your life, your mind; only the last is subject wholly to your control. All else is mere smoke”. Art is the pinnacle of Human Civilisation. I believe that the discovery of the Art in the Chauvet Cave is as important as Mankind travelling into Space and walking on the Moon. Art is the pinnacle of Human Civilisation. The Florentine Sperone Speroni, 16th century Renaissance writer, defined the key to Civilisation as “the Creation of Wealth and the Patronage of the Arts”. 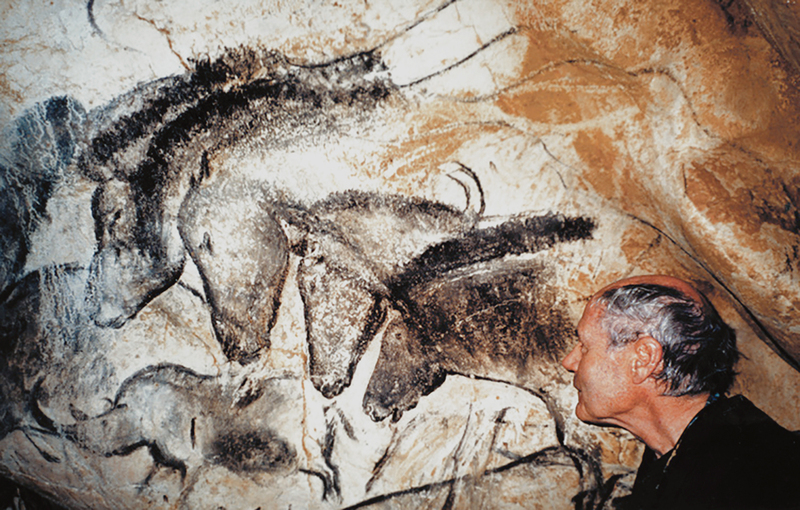 Art is the culmination of Mankind’s achievements and the oldest evidence of its existence is in the Chauvet Cave. Jean had suggested that we meet at his Research headquarters so he could introduce me to George Chaloupka, the author of a book on the Dynamic figures of Arnhem Land, which are somewhat akin to the Bradshaw figures. He is the founding patron of Kakadu Park in Australia, and has done great things for the preservation and protection of Aborigine culture and art. As soon as Jean was ready to leave we drove round to the vineyard where the track up to Chauvet starts. On the way we stopped to visit the river for a look at the Pont d’Arc in the morning light. What a spectacular site. The Arch spans the river in a lovely graceful sweep of white limestone. It is one of the most impressive natural phenomena that I have ever seen. The water was crystal clear and the glassy surface of the river reflected the arch as it glided serenely through its vast open mouth. A flock of over fifty doves skimmed past us and flew under the arch. The Bear Clan must have found the Arch just as awesome 35,000 years ago as it is today. I agree with Jean, they must have seen it as a symbol of great magical potency. Was the reason that the Chauvet Cave was the one chosen out of all the many caves in the Ardeche Canyon for these special paintings been because it is nearest to the Arch? The fact that the Arch looks like a Lion leaping across the river from the downstream side could only have added to the potency, the Spirit of the Place. It was time to climb up the track to the cave. The first part of the climb is quite steep and in my hurry to get to the cave I soon ran out of breath. Jean took over the lead and set a proper pace. We came out of the woods and stood looking out over the valley at the beginning of the terrace that cuts across the face of the cliff. The view out down the canyon was magnificent. 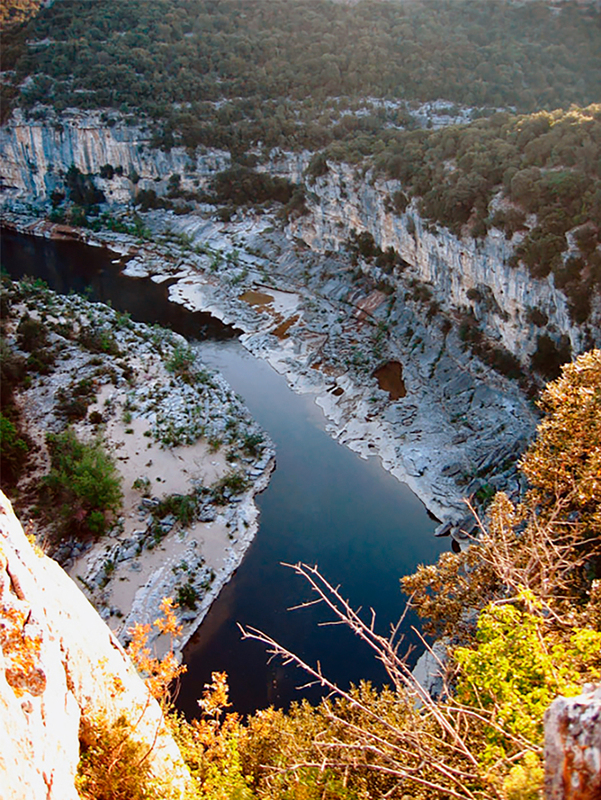 This terrace was cut by the Ardeche river millions of years ago when it began to excavate the Canyon as it raced to join the Rhone and the Mediterranean. The bears must have used this terrace to reach the cave for their winter hibernation, as this is the only easy way up to the Chauvet cave. When the Bear Clan artists had arrived in the Ardeche Canyon some 35,000 years ago, they must have followed the bears to their lair up this path as well. Standing on the edge of the terrace I thought about the forming of the landscape and the fact that the Mediterranean Sea was dry five and half million years ago. It amazes me to think that at that time, while the rivers of Spain and France were flowing into a shallow lake between Spain and Sardinia, in Africa our ancestors were just beginning to walk on two feet! The Bear Clan would have stood where I was now standing and gazed out at the same beautiful scenery. They would have perhaps watched the herds making their way along the valley as they migrated between their summer and winter habitats. Below me would have passed woolly rhinoceros, mammoths, bears and horses as they foraged. Lions could have stalked their prey watched by hyenas waiting to scavenge the remains of their kill. While sitting in the dark of the cave two years ago, watching Jean working with a colleague on the Horse panel, I had experienced a kind of daydream. Seeing the two men studying the painting with their flashlights had summed up an image in my brain of cave men doing the same thing but with burning flares. My imagination had then conjured up a scene of the Bear Clan arriving and a Shaman performing a ceremony in front of the altar before going into the Holy of Holies to confront the Sorcerer.